Good News on the Frontier was written to be a companion volume to Through the Ages and part of the Covenant Life Curriculum in 1964. It quickly captured the affection of the Cumberland Presbyterian denomination. 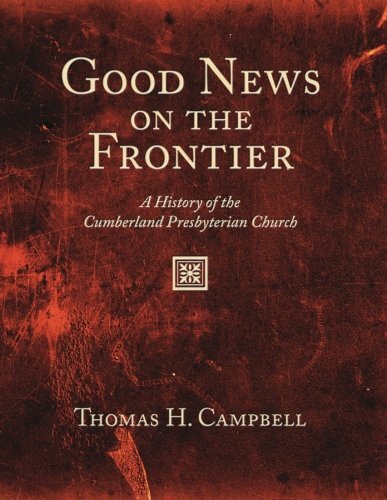 Even though a much more comprehensive church history, A People Called Cumberland Presbyterian, was published in 1972, many people still look to Good News as an effective overview and easy study. Good News divides the history of the denomination into 13 weekly lessons.